If you are learning how to make a chocolate cookie recipe, the art of making these wonderful cookies is starting with good ingredients. You will want to start with a good quality chocolate and combine it with other ingredients. It takes only an hour or two to transform some of the most common kitchen staples into delicious delicacies. The techniques used are not much different from those in preparing simple cakes. Learning how to make a chocolate cookie recipe is like learning how to make miniature cakes. A simple tip to remember when chopping chocolate for your cookies is that a block is easier to chop when it has been refrigerated; fifteen minutes will firm the bar. With a sharp knife slice the bar into slivers about ¼ inch. The bar will fragment as you cut it; heap the pieces together as you cut. Hold the knife over the pile steadying the knife tip with your free hand. Use the tip as a pivot and rock the knife back and forth as an arc until pieces are all cut the size desired. Transfer and shake the pieces through a sieve to shake it free of chocolate dust. 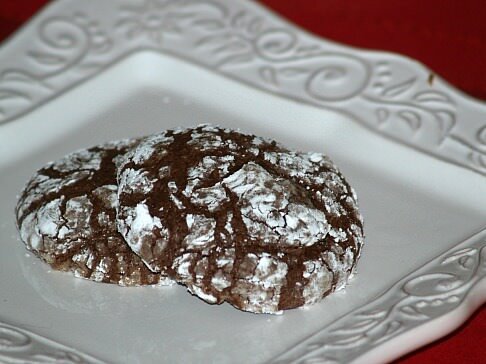 In learning how to make a chocolate cookie recipe, the following first recipe uses chocolate chips. The chocolate chips and oatmeal makes a delicious combination. Another delicious combination is adding peanut butter (as in the peanut butter frosting recipe) to the chocolate drop cookie recipes. Who doesn’t love chocolate and peanut butter! That is what made the peanut butter cups so famous. 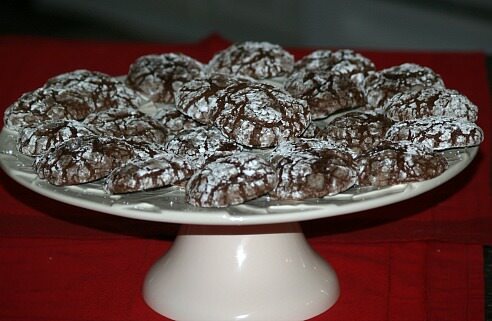 Try the chocolate cookies below. Combine and mix chocolate, oil and sugar; blend in eggs and vanilla until well blended. Combine and blend flour, baking powder and salt; add to chocolate mixture and blend. Blend in chocolate chips; chill overnight. Drop dough by teaspoonful into powdered sugar; roll into balls and place on greased baking sheet about 2 inches apart. Bake 10 to 12 minutes or until no imprint remains when touched in center. Cream butter, sugars, eggs and vanilla. Add flour, baking powder, and soda, salt and mix well. Sir in the oats and chocolate chips. Drop by teaspoonfuls on a lightly greased cookie sheet. Cream butter and sugar together, adding eggs and vanilla. Sift flour and measure again with other dry ingredients. Add dry ingredients to the creamed mixture alternating with the milk and mix well. Drop by teaspoonfuls onto a lightly greased cookie sheet. Bake for 15 minutes or until set. Cream butter, sugar, egg and cooled chocolate. Sift dry ingredients together and add to creamed mixture alternating with the milk. Add dry ingredients to the cream mixture alternating with the milk, mixing well. Bake for 10 to 12 minutes or until set. When cold frost with peanut butter cream frosting. 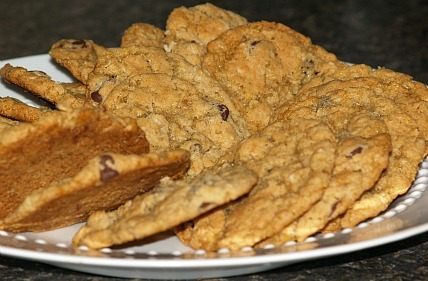 Combine all ingredients and beat until creamy and spread over tops of cookies. This easy chocolate cookie recipe is made with a box cake mix and the dough is wrapped around Rolo candies making great caramel filled cookies. Combine cake mix, oil and eggs in a large bowl; blend well. Place a Rolo candy in the center of cookie dough; roll into ball around candy. Place on ungreased cookie sheet about 2 inches apart; bake for 8 to 10 minutes. Cool 1 minute and remove from pan to cool completely. This is also an easy but delicious chocolate cookie recipe; easy because it is baked all at once in a pan before cutting into bars. Cream sugar and butter; stir in remaining ingredients until well blended. Pat mixture into 10 X 15 inch jelly roll baking tray. Bake in preheated oven at 350F degrees for 15 to 25 minutes until lightly browned. Remove from oven; break up Hershey chocolate bar over the top of hot bars. Spread chocolate around as chocolate melts; sprinkle top with chopped almonds. Cool completely before cutting in bars. In saucepan over low heat melt 1 cup chocolate chips stirring constantly until smooth; cool slightly. Beat sugar and butter until fluffy; blend in eggs, vanilla and melted chocolate. Combine oats, flour, baking powder, salt and coconut; blend into chocolate mixture. Stir remaining 1 cup chocolate chips into mixture; shape into 1 inch balls. Roll balls in powdered sugar coating heavily and place on ungreased cookie sheet. Bake 10 to 12 minutes; cool 2 minutes then remove from pan to cool completely.